Labor Day Different Professions. Courier Deliver Pizza On Moped. Builder Makes Brickwork. Teacher Teaching Knowledge. Doctors Treat People. Engineer Studying Construction Project. 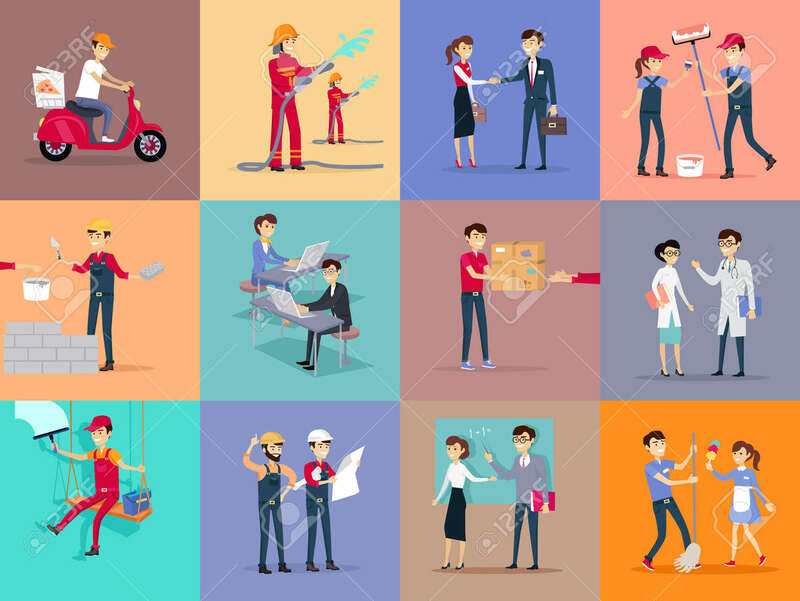 Vector Illustration Royalty Free Kliparty, Vektory A Ilustrace. Image 63729542.